Marder says immunotherapy has side effects but is less tiring than chemotherapy. 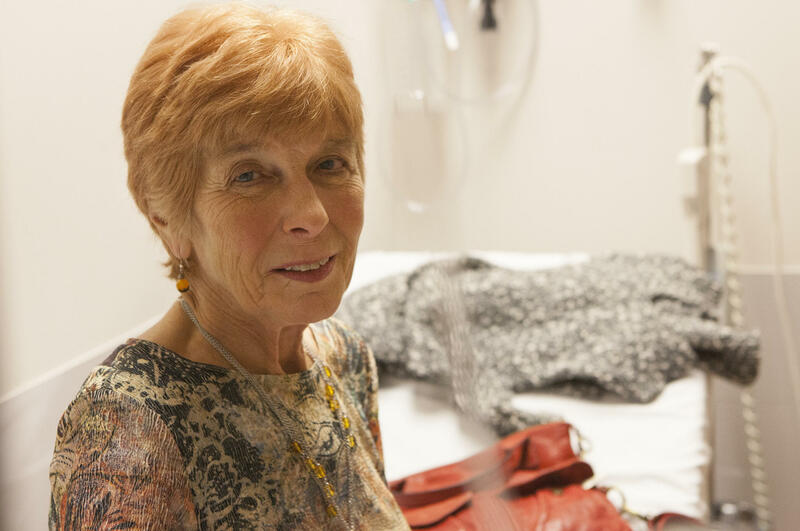 Barbara Marder waits to receive immunotherapy treatment for cancer at Johns Hopkins Hospital in Baltimore. "I was very disappointed," says Marder. She knew her prognosis was grim. "I decided at that point that ... I should think about the fact that perhaps this was going to advance rapidly at this point. And check and make sure: Is my will in order? What should I do so that my children aren't left with a mess to clean up in my house?" But Marder didn't give up. She started exploring her options, which eventually brought her to Johns Hopkins in Baltimore, where doctors are testing a new type of cancer treatment known as immunotherapy. "Immunotherapy for cancer means developing treatments to harness your immune system and using your own immune system to fight the cancer," says Dr. Julie Brahmer, an associate professor of oncology and Marder's doctor. "It's been very frustrating," Brahmer says. "The breakthrough is in therapies called 'checkpoint inhibitors,' " Brahmer says. Checkpoint inhibitors are drugs that pull off cancer's invisibility cloak by blocking the switch that turns it on. "It prevents that invisibility cloak or that force field or shield ... from going up," Brahmer says, "so it can't shield itself from the immune system." "They seem to be working quite well for multiple different cancers," Brahmer says, including kidney cancer, bladder cancer, head and neck cancers, lymphoma and even perhaps breast and lung cancers. So Marder volunteered for one of Brahmer's studies testing a checkpoint inhibitor called nivolumab, or Opdivo, for lung cancer. Within weeks of starting her infusions, the tumors in her left lung began to disappear. "That was very, very exciting. It really changed my perspective. I thought, 'Jeepers,' " Marder says. Most patients just get a little tired. Some, like Marder, get an itchy rash. But compared with traditional chemotherapy, it's easier in most cases. "You can live a great life," Brahmer says, "travel and try to live your life as normally as possible. 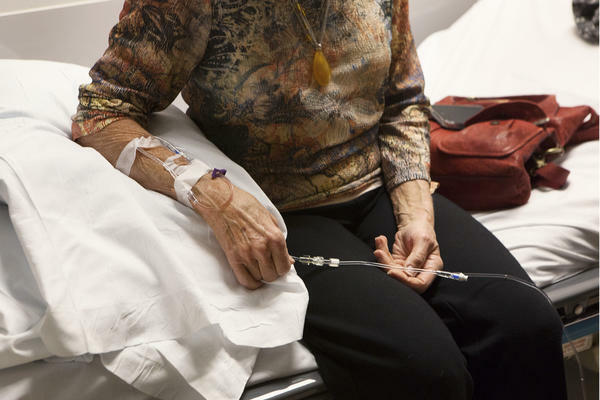 That's definitely different than chemotherapy." "We're reporting three-year survival rates in [lung cancer] patients who we would say typically should not be around," Brahmer says. "I'm very fortunate," she says. "Cancer immunotherapy is the most exciting thing we have going on in the field," says Dr. Peter Bach, director of the Center for Health Policy and Outcomes at the Memorial Sloan Kettering Cancer Center in New York. "It's frustrating that the companies are gouging the U.S. system with their prices." "Any patient who needs access to a checkpoint inhibitor made by Bristol-Myers Squibb will have access through a robust patient-assistance program," says Michael Giordano, who heads oncology drug development at the company. Brahmer hopes doctors will figure out a way to cut the costs and says patients may not have to stay on the drugs indefinitely. That's because when patients stop taking them, immune system cells known as T-cells seem to remember how to keep the body cancer-free. "We think that over time your immune system creates memory," Brahmer says. The T-cells remember how to attack the tumor and stop the cancer from putting up a shield. "So those T-cells continually keep that cancer under control. Even without treatment," Brahmer says. Brahmer might try that for Marder. But for now, she's coming back every two weeks to receive infusions, and because she is in a study, Marder doesn't have to pay for the drug. "We're trying to figure out how to personalize this treatment," Brahmer says. "Who needs just one checkpoint inhibitor? Who needs a combination to really unleash the immune system? That's where this is probably headed." Our series is produced with member station WNYC, and with WETA, whose documentary Cancer: The Emperor of All Maladies will air on PBS in March. Today in Your Health, we are beginning a series that we're calling Living Cancer. 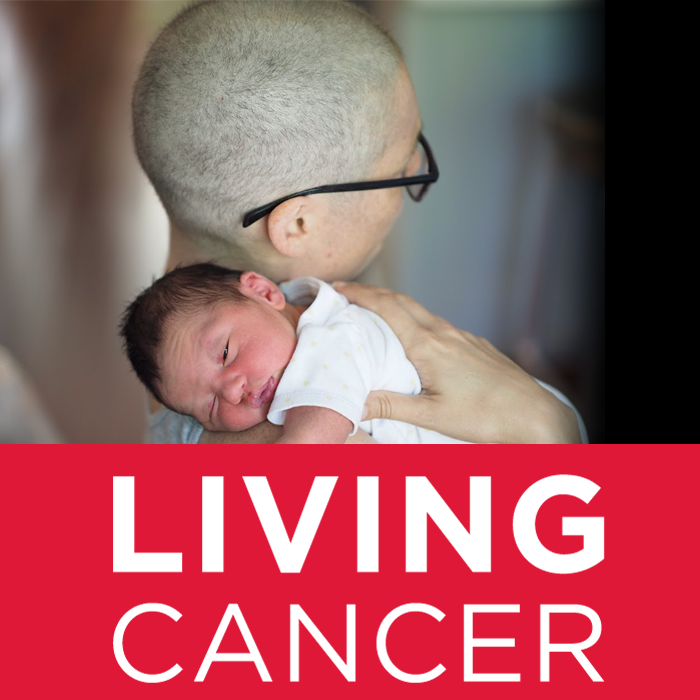 On this program and on ALL THINGS CONSIDERED later today, we'll explore the difficult decisions people and their families face when dealing with cancer, even as new therapies are extending lives. This morning, we look at one of the latest developments in the field. NPR health correspondent Rob Stein reports that after trying for decades, doctors say they have finally figured out how to use our own immune systems to fight cancer. It's called immunotherapy. ROB STEIN, BYLINE: When Barbara Marder was diagnosed with lung cancer three years ago, she had part of her right lung removed, went through a round of chemotherapy and tried to move on with her life. BARBARA MARDER: I had hoped that everything was fine, that I would not create difficulty for my children; that I would get to see my grandchildren grow up. STEIN: But a routine scan a year later found bad news. The cancer was back - this time in the other lung. MARDER: I was very disappointed. And I decided at that point that, you know, I'd been very fortunate. My life has been very blessed in many ways, but that I should think about the fact that perhaps this was going to advance rapidly at this point. Check and make sure, is my will in order? What should I do so that my children aren't left with a mess to clean up in my house? Make some of those kinds of preparations should it be necessary. STEIN: But Marder, who's 73, didn't give up. She started checking out her options, which eventually brought her here. TRACY: My name is Tracy. TRACY: I'm going to be taking care of you today. STEIN: To the Johns Hopkins Cancer Center in Baltimore. TRACY: So I'm going to be taking three tubes of blood from you - one is for research and two is for your regular appointment. STEIN: Her regular appointment is with Dr. Julie Brahmer. JULIE BRAHMER: Good morning. How are you? STEIN: She's a cancer specialist who's testing a new way to treat cancer. BRAHMER: How have you been feeling over the past couple weeks since I last saw you? BRAHMER: So immunotherapy for cancer means developing treatments to harness your immune system and using your own immune system to fight the cancer. STEIN: Scientists have been trying to do this for decades. After all, our immune systems can fight off all kinds of stuff - colds, the flu, pneumonia - so why not cancer? But nothing seemed to really work. BRAHMER: It's been very frustrating. STEIN: Turns out, cancer takes a page from Harry Potter - it puts on an invisibility cloak. BRAHMER: Cancer can keep the immune system from recognizing that it's bad and keep it from attacking itself. STEIN: And now scientists have found a way around this. BRAHMER: The breakthrough is in therapies called checkpoint inhibitors. STEIN: Checkpoint inhibitors are drugs that pull off cancer's invisibility cloak. They block the switch that turns it on. BRAHMER: It prevents that invisibility cloak or that force field or shield - it prevents that from going up and so it can't shield itself from the immune system. STEIN: And these drugs seem to be working, at least for some patients, melting away some of the toughest tumors, like some of the deadliest skin cancers in melanoma patients. BRAHMER: They seem to be working quite well for multiple different cancers. STEIN: Kidney cancer, bladder cancer, head and neck cancer, lymphoma - even perhaps breast and lung cancer. So Barbara Marder volunteered for one of Brahmer's studies. BRAHMER: All right. Well, let me examine you. BRAHMER: And then we'll kind of come back and we'll summarize everything. STEIN: Within weeks of starting her infusions, the tumors in Marder's left lung began to disappear. MARDER: Oh, that was very, very exciting. It really changed my perspective. I thought, jeepers. STEIN: Now, checkpoint inhibitors can cause serious side effects when the immune system attacks healthy cells, causing dangerous, even sometimes life-threatening organ damage. But that seems pretty rare. Most patients just get a little tired. Some, like Marder, get an itchy rash, but for the most part it's a lot easier than traditional chemo. MARDER: Oh, definitely, definitely. It's far less tiring. STEIN: One big question is how long will these drugs keep working? Regular chemo often runs out, but so far, checkpoint inhibitors seem to keep going a lot longer. Marder's back today, more than a year after she started, to see if Dr. Brahmer says that's still true for her. BRAHMER: The CAT scan doesn't show any evidence of her cancer. BRAHMER: Completely gone - we can't see anything. STEIN: That seems pretty amazing. STEIN: So just the dumb question - does that mean she's cured? BRAHMER: I can't say yet. Technically, we can't say people are cured from their disease until they're free of disease for five years. So - but we're through a year and we'll see how things go as time goes by. MARDER: I'm very fortunate. I wish that all of your patients had the same. Now it's just back to all the regular old lady things, like my eyes get weaker and my teeth get crummier and my hearing decreases. STEIN: Another big question about these drugs is how much they cost. They are really, really expensive - more than $120,000 for each round. Critics like Peter Bach say that's just way too much. He's at Memorial Sloan Kettering Cancer Center in New York. PETER BACH: Cancer immunotherapy is the most exciting thing we have going on in the field. And it's frustrating that companies are gouging the U.S. system with their prices. STEIN: The companies that make checkpoint inhibitors defend their price tags, and say they will help make sure that any patients who need the drugs can afford them. Michael Giordano is with Bristol-Myers Squibb. MICHAEL GIORDANO: Any patient who needs access to a checkpoint inhibitor made by Bristol-Myers Squibb will have access through a robust patient assistance program. STEIN: Marder's in a study, so she doesn't have to pay for the drug, which she gets every two weeks. So she's back today for another infusion of her checkpoint inhibitor to keep her cancer in check. A nurse comes into her room to insert her IV. JUSTIN: OK - in 60 minutes and you'll be all set. STEIN: Now Marder has to wait for about an hour while the drug slowly drips into her body, but she has no complaints. MARDER: There's high hopes that I can see my little grandchild, who's 2-and-a-half, graduate from high school, and the older one, who's 9, graduate from college. That's wonderful. STEIN: Marder is just one patient. Her doctor, Julie Brahmer, knows she'll have to treat a lot more for a lot longer to really know just how well these checkpoint inhibitors work, and for how long. Many scientists suspect they will take a combination of checkpoint inhibitors to get the most out of our immune systems to fight cancer. Rob Stein, NPR News. GREENE: And our series Living Cancer continues later today on ALL THINGS CONSIDERED. It is produced with member station WNYC and with WETA, whose documentary "Cancer: The Emperor Of All Maladies" will air on PBS next month. Transcript provided by NPR, Copyright NPR.